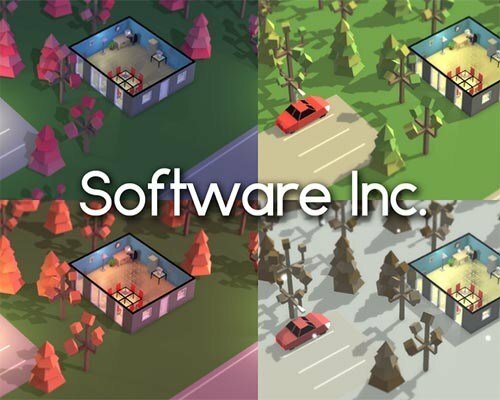 Software Inc is a Simulation and Strategy game for PC published by Coredumping in 2017. Make your own business and control your workers. In this game, You have to create a new software to make money. Hiring new workers should be in your first priority to start your business. Construct and design buildings for optimal working conditions. Hire people to design and release software, so you can defeat the simulated competition and take over their businesses. Manage and educate your employees to make sure they are skilled and satisfied with their job. Build, furnish and maintain office buildings up to ten stories + basement, on an enormous land, using a free-form building system with easy copy-paste tools. Hire employees to design, develop, support, research and market software in teams. Build roads and parking to ease commuting for your employees in this simulation game. Tend to your employees’ needs, demands, skills and specializations, while making sure each team has compatible personalities. Customize your own employee avatar. Create your own software products and franchises. Compete in a simulated and randomly populated market by selling your products, taking on contract work, creating patents, making deals or trading stocks. 12 Comments ON " Software Inc PC Game Free Download "
thank you. i sent a request for this and now its here. Thx! folder next to the executable. Copy the contents of the zipped folder to a folder on your desktop. This should fix the problem.